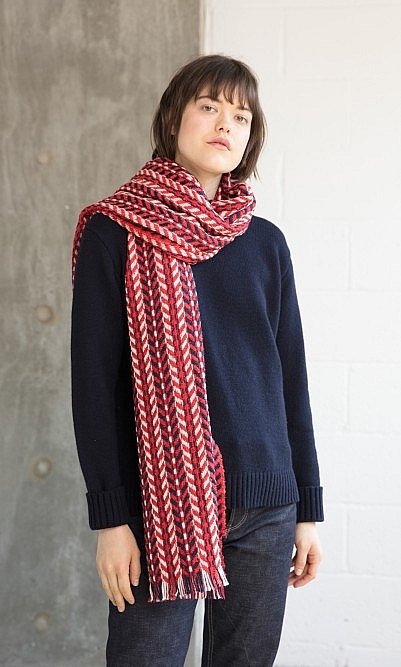 Chevron patterned scarf with softly tufted edges and fringed ends. 72x180cm. Acrylic. Dry clean.